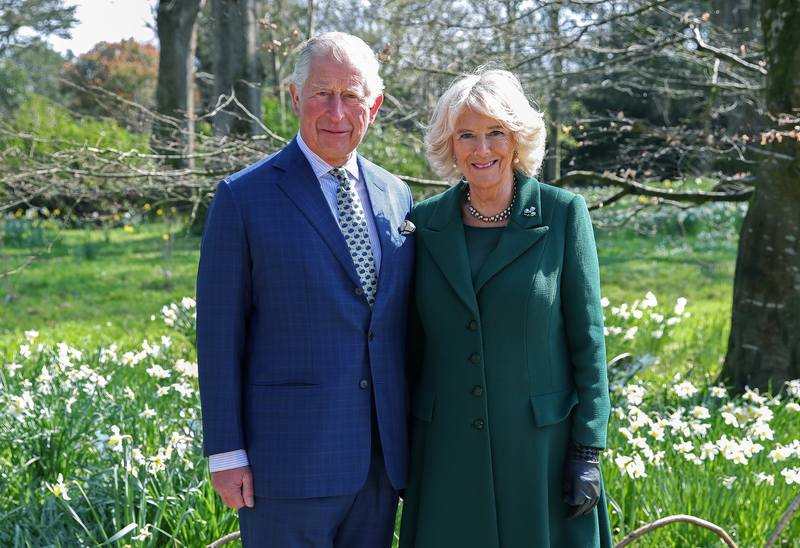 Prince Charles, 70, and the Duchess of Cornwall, 71, were celebrating a very special occasion yesterday. In 2005, the couple married in the elegant Grade 1 listed Windsor Guildhall accompanied by many senior members of the Royal Family, political and religious figures and celebrities. Following the ceremony, they received an official blessing from the Archbishop of Canterbury at St George’s Chapel, where Harry and Meghan also married last year. 14 years later, the pair looked as happy as ever as they received an official tour of Hillsborough Castle on Tuesday. The royal couple had travelled to Ireland to re-open the iconic castle in Ulster, following a £24m refit. The castle is due to open to the public next week, in an effort to preserve historic buildings. The pair have frequently Northern Ireland over the years, working on various heritage projects similar to this one. It’s also not the first visit to Hillsborough Castle from a royal too – Charles’ parents, the Queen and Prince Philip, visited themselves back in 1977. Charles described Hillsborough Castle as “special place”, remaining hopeful that people from far and wide would flock to visit following its big refurbishment. To celebrate their anniversary, Clarence House also shared an exclusive photograph of the royal couple. Shot in black and white, the portrait was taken by talented photographer Alex Lubomirski, who also shot Harry and Meghan’s stunning wedding last May. The New York based photography has an eye for capturing intimate moments, and this photo is no exception! Here’s to many more happy years for the royal couple!